The Master of Business Administration (MBA) is the best award in the world that provides nice jobs with highest salaries. With an MBA degree, you can negotiate a salary you want. The MBA prepares you to be a skilled and knowledgeable leader who can influence people, offer strategic direction and make good use of financial, human and technical resources. Our MBA will help you to develop creative thought and insight and challenge you to stretch your natural abilities. Our mixture of theory and practice gives you academic expertise combined with real-world experience. 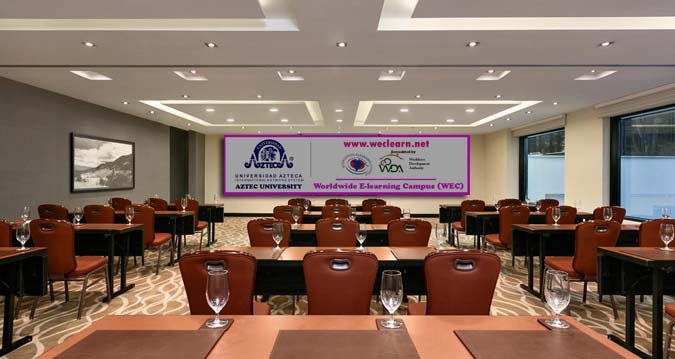 Aztec University and WEC have a joint accredited online evaluation system provided through Worldwide E-Learning Campus for an international MBA that allows students to complete the program at their own pace. Aztec University is a UNESCO listed and highly reputed for their powerful online programs. This allows us a wide range of credits transfer and exemption. The key benefit of our dual award resides in becoming internationally certified in Human Resource or in Project Management and then get credits exemption for top up to either: MBA in Strategic Human Resource Management, MBA in Project & Strategic Management, or MBA in Energy and Project Management. Not only dual award will provide exemptions, it will also reduce fees considerably in prestigious USA Universities where applicant can get a fees deduction of 12,000 US$. For further information, please write to: info@weclearn.net or call +250788531607.